We provide a friendly homelike environment where everyone knows their neighbor and we look out for each other. Friendship flourishes here as our caring staff embraces each resident with respect and dignity and recognizes the inherent worth of each individual. We pride ourselves in being able to serve independent residents as well as those requiring support from our assisted living services. Individual care plans are drafted and monitored by the nursing staff according to the needs of each resident. We want you to be at ease at Assisted North Mountain. That’s why we offer a myriad of services and amenities to give you not only the comforts of home — but peace of mind, knowing that you have dedicated staff on-site 24 hours a day, 7 days a week, providing outstanding senior services in Phoenix. From daily activities, organized outings, nutritional meals, a variety of exercise programs, and much more — We are here to provide you the finest senior living community in Arizona. 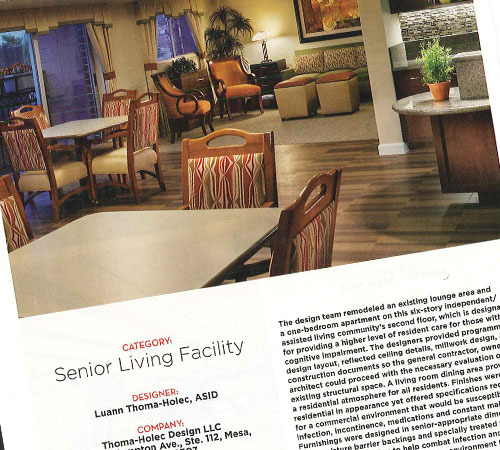 Our programs are individually designed for each senior living option. So whether you are seeking specialized care or a more independent living style of living, we’d love to welcome you or your loved one home to Avista North Mountain. At Avista North Mountain, we offer our services at a variety of price points. We work with residents who qualify for the Arizona Long Term Care System (“ALTCS” or “Medicaid”) to help cover costs. Please inquire at our office to learn more.